India-Europe 29 Bussiness form(IE29BF) was created in 2014 by Union Ministry of External Affairs and Federation of Indian Chambers of Commerce and Industry (FICCI). E29BF was created in 2014 by Union Ministry of External Affairs and Federation of Indian Chambers of Commerce and Industry (FICCI). 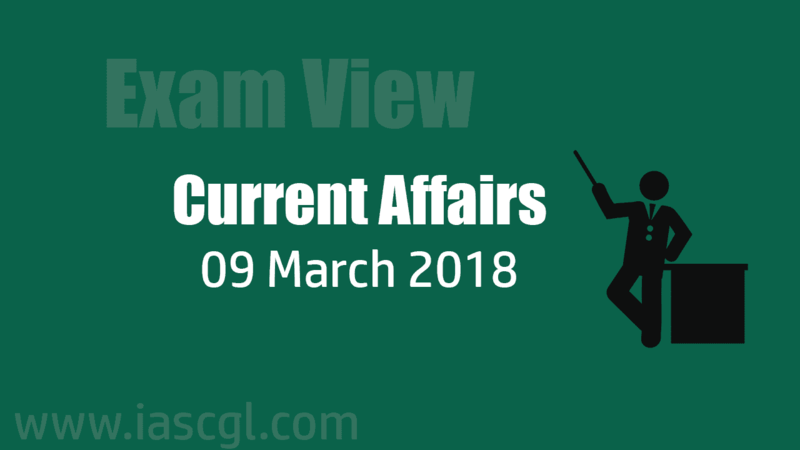 On March 6, 2018, Union Minister of State for Environment, Forest and Climate Change Mahesh Sharma, informed Rajya Sabha that headquarters of the Animal Welfare Board of India (AWBI) has been shifted from Chennai to Haryana’s Ballabhgarh. From the financial year 2017-18 onwards, the nomenclature of the Scheme has been changed as 'Swatantrata Sainik Samman Yojana'. Besides the freedom fighters, spouses (widows/widowers), unmarried and unemployed daughters and parents of deceased freedom fighters are eligible for pension under the scheme. The Union Cabinet chaired by the Prime Minister has approved the continuation of Swatantra Sainik Samman Yojana (SSSY) during 2017-2020 beyond the 12th Five Year Plan. According to Union finance minister Arun Jaitly, there will be no longer Special status for State Andhra Pradesh but they(central government) never denied to provid special package to them(AP). With this, there are seven States of North-Eastern region (Arunachal Pradesh, Assam, Manipur, Meghalaya, Mizoram, Nagaland and Tripura), Sikkim, Jammu & Kashmir, Himachal Pradesh and Uttarakhand with special status. 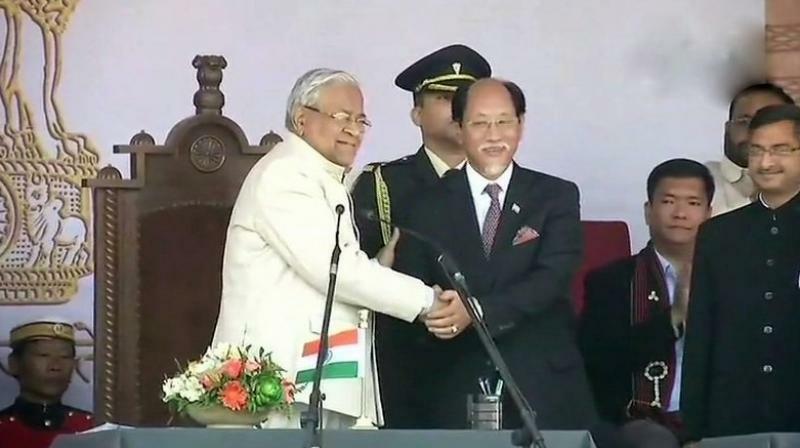 Neiphiu Rio was sworn in as the Chief Minister of Nagaland for the fourth time at the Local Ground in Kohima on Thursday, as the head of a new alliance, the People’s Democratic Alliance. For the first time Rio was made Nagaland’s CM in 2003. Before he could complete his first term, he was dismissed from his position as President’s rule was imposed in the state in 2008. He then form govenment in 2008 and third time in 2013 and Now fourth time 2018.